This unique dispensing system is used for precision application of CA glues, inks, lubricants, sealants, etc. The accordian style bottle gives the extra sensitivity needed for situations needing a light touch for precise application. 5 Pc. 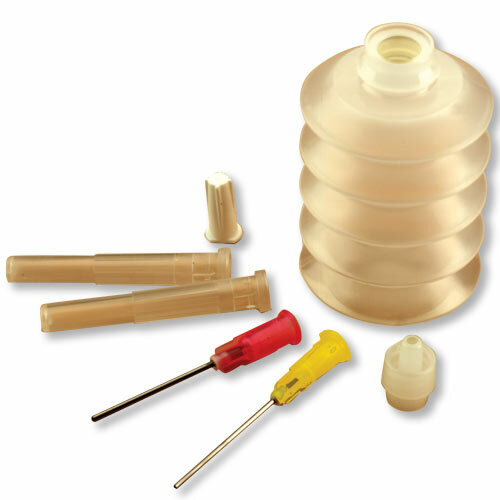 Set includes: One accordion type Squeeze Bottle; one Tip Adapter; 2 stainless steel Tips; and one Storage Cap.